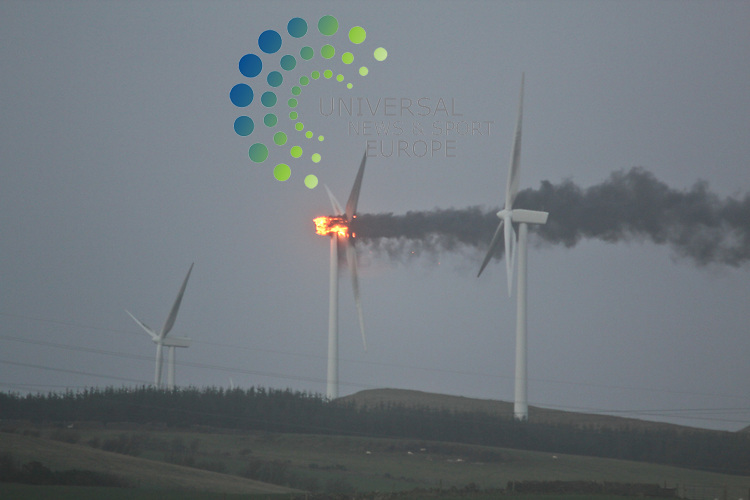 A wind turbine bursts into flames in Biblical style in Ardrossan as storms tear across Scotland..Picture: Stuart McMahon/Universal News And Sport (Scotland) 8 December 2011. Restrictions: For editorial use only. Additional clearance required for commercial or promotional use. Images may not be altered or modified. All pictures must be credited to www.unpixs.com .Universal News And Sport (Europe)..